It feels like it's been an age since I've written to you. I do apologise for this delay because I was given specific instructions to make sure I wrote my letter, but I've just been so overwhelmed with so many things that have been happening. Usually, I don't like to ponder over how tired I am, or how much is happening around me - but the last few weeks have really been a huge blur. Lucky for you, you're going to hear alllllllll about it right here. But before we get into that, you rightly said that the years are short, and the days are long. How are we even at the end of September? How are we even approaching season 4 of Desi Outsiders? Listening to our season finale yesterday was quite an emotional journey - both of us were in completely different places in our lives. Not just in terms of our projects, but we were both such different people, and I am so proud of where we are right now. One of the biggest lessons I've learnt from our journey is that we should never be afraid to aim for the stars. Imagine if we were too scared to mail Tina from Mom boss of 3? We wouldn't be here. We would still be doing our Braindumps and numbing our minds to find topics to discuss on the podcast. I'm so glad we have each other to keep moving forward. 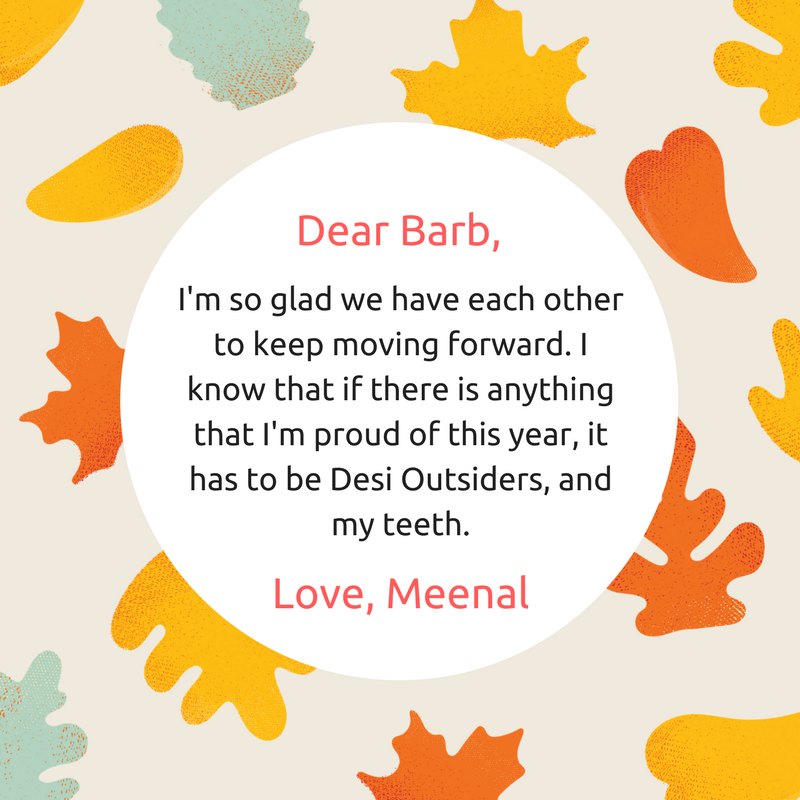 I know that if there is anything that I'm proud of this year, it has to be Desi Outsiders, and my teeth. Anyway, so back to me. In Prague there was a four day tournament where cricket teams from all over the world came along to play. All their food and drink at the ground was covered for, they didn't have to pay a single penny as it was covered in their initial cost to pay for the tournament. So when people have free drinks and beers, you know what happens? At the end of the day, you're going to find dozens of half-filled bottles of coke, pepsi, water, and even pints of beer just lying around the ground and that made smoke come out of my ears, my nose, my **hole - or maybe that was a poofy, not sure. And there I was trying to raise money so that our kids in Kenya could find clean water to drink, and so that they could be fed. What I had in abundance in Prague, couldn't be delivered to Kenya, and there was literally nothing I could do about it. I feel that since I've been deeply involved in the microfinances of the children in Kenya, I've been much more meticulous about the way I deal with food products in my own life. I won't buy a pack of six onions, if I know I'll only use one and throw the other five away. I won't buy a black cardigan if I already have two lying in my wardrobe because somewhere in my heart and mind, it feels wrong to be living with abundance and at the same time trying to raise funds for our kids who are much more desperate in Kenya. No, I don't live like a hippy, but I'm much more conscious and aware of how I deal with my daily expenses, especially when it comes to food and drink. You know this new diet I put myself through? Again, one of those decisions I made because I felt I wasn't challenging myself enough in my athletic life. So of course I'm counting my calories, and planning out my meals carefully and I am seeing results which is amazing because the results are clearly visible. It's quite different to what I do in my other hobbies/projects/jobs/labour - call it whatever you like. With Desi Outsiders for example, we work hard every single day, same with Feminism India, but the results are not as picture perfect as it is when it comes to getting in shape. And I think that's something that is extremely satisfying, something that I can see in front of me in numbers, or even in my clothes, makes it feel like every day is worth the hunger, I mean patience. That being said, I ordered a small pizza yesterday because it fit my macrocalories and my carb, fat, and protein goals - BUT I WAS ONLY ALLOWED HALF. It's like putting heroine in front of a drug addict and saying, "you can look at it, but you can't have it!" I will have the other half tonight. Which is what got me out of bed this morning. That's literally the most exciting thing that's happening in my life right now. Half a small veggiterean pizza. Chapter 3: I miss you, hurry back.